That love of a nearly extinct format helped launch the series, one of the most intriguing ongoing stories in the zombie genre. With excellent production values, solid acting and a gripping storyline, We’re Alive easily enters the top tier of independent zombie entertainment. The premise is classic — a small group of survivors, including a few military men and a random assortment of civilians, hole up in an abandoned apartment building after the sudden appearance of zombies and subsequent breakdown of civilization. The genesis of the idea is familiar to just about anyone with a more than passing interest in the zombie genre. The third piece of the puzzle was realizing that the story of We’re Alive was simply too big to fit in a movie. The decision to make it an ongoing series has allowed Wayland and Salk to stretch out and tell the story they wanted to tell without the limitations of a three-act, ninety-minute film. “The mechanics of our world are unique. There are some people who say, ‘if it’s not Romero it’s not anything,’ which is wrong,” Wayland adds. The series is in its tenth episode of a planned twelve for season one. Then the series will go on hiatus until August, when season two kicks off. The plan is to produce three seasons of twelve episodes each and yes, before you ask, there’s a definite endpoint planned for the series. In the interim between seasons one and two, Wayland and Salk plan on entering the series into some festivals for audio dramas, plus remastering and cleaning up the whole thing for a retail CD and iTunes release. That process will involve removing all the chapter breaks and ads, cutting out the coarse language and various technical fixes and tweaks to improve the overall experience. As for future plans, they’re interested in doing additional audio drama series, and they’d love to adapt We’re Alive for television as well. Whatever happens, they both say the experience of working on the series has been rewarding in and of itself. “If we never earn any of the money back, that’s okay because it’s my baby,” Wayland says. 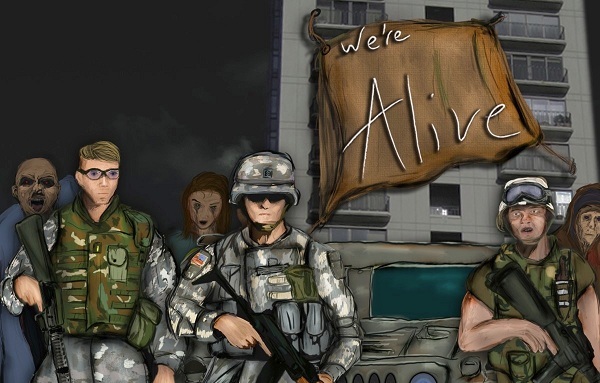 You can get more info on We’re Alive from the series website and by becoming a fan on Facebook. Episodes are available as a free download from iTunes, Zune and other means. Tell them you saw it here on The Inevitable Zombie Apocalypse! This podcast is THE best out there. I s**t you not. You will get addicted from episode one. Best of all, it’s FREE!! Get it now! When does the podcast start back up? I cant wait to hear where the story goes. I’ve gotten like 20 people hooked and we’re chomping at the brain to hear something new! Great Job! Tyler P.
@BigChefGuy711 – As stated in the article, the series is set to resume in August. I found this on my Blackberry and cant stop listening. I love love love it. Yes I’m addicted. Best part is I have so much catching up to do. I’m up to Chapter 7 with ten more to get up to speed. What has happened to this story line??? Were the writers fired after the first season. Chapter 18 and 19 are terrible. Where did the Zombies go. There is no plot here, no suspense, nothing worth listing to. I will go back to Pseudopod. There is lots of real good stories there. come out . Wish I had a chance to make it to the live play in CA. it takes to keep it going. 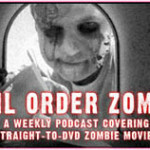 For an amateur production it’s a fun listen when you’re out of zombie movies to watch. The sound editing and FX are impressive given the crew putting this together. However, unlike the reviewer’s take above I assure you it would be hard to find worse voice acting than in We’re Alive. Most of the “actresses” are unbearably awful but sometimes the convergence between bad dialogue and bad acting make you wish you were among the dead as well. The overall arc is interesting however and worth tolerating the terrible acting. I’m addicted! My kids and I all listen together as a family while we play cards and when in the car we play In Case Of Zombies….a game we created based upon the series. We have our tower picked out! 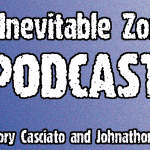 The writing is fleshed out, the characters engaging and the recording quality is excellent….everything one could want from a podcast, plus zombies! MrGerbik is entitled to his opinion, even if it is wrong! Getting used to this type of presentation can take a short while, but it’s worth the effort as the series is fabulous and develops and improves as it progresses. Give it a shot, you won’t regret it.